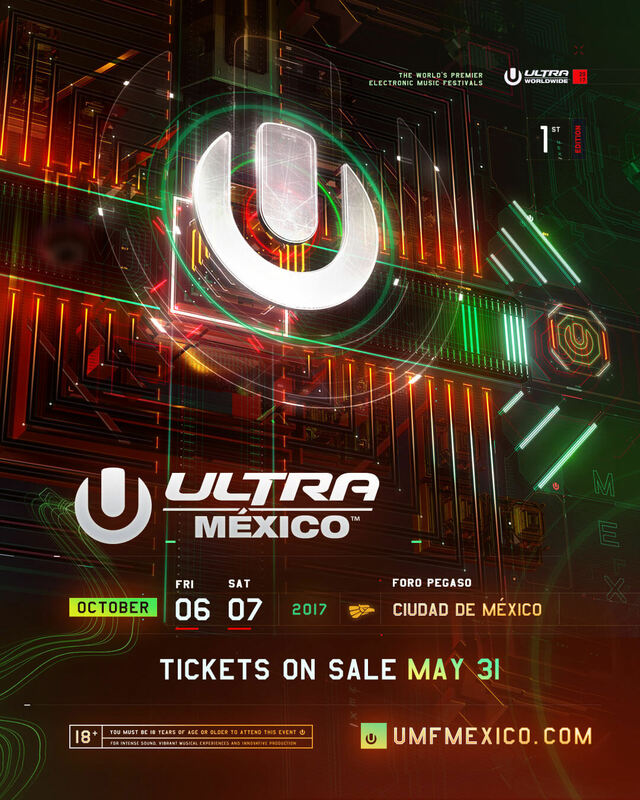 ULTRA Worldwide will produce its first event in México this October, as it presents the debut edition of ULTRA Mexico. A multi-day, multi-stage event including the global RESISTANCE concept, ULTRA México will take place from October 6-7, 2017, at Foro Pegaso – just outside the México City Center. With over 40 hectares of beautiful open space, Foro Pegaso is México´s best venue for large-scale outdoor events, complete with multi-configurable spaces and enough capacity to simultaneously operate several multiple state-of-the-art stages. Providing a safe, controlled and fun environment for festivalgoers, Foro Pegaso also boasts close access to more than 120 hotels, countless restaurants and bars, and various other commercial areas. Tickets for ULTRA México will go on sale on May 31 exclusively at UMFMexico.com.